Alexander Konstantinovich Glazunov (1865-1936), Russian composer of the late Russian Romantic period, music teacher and conductor. He served as director of the Saint Petersburg Conservatory between 1905 and 1928 and was also instrumental in the reorganization of the institute into the Petrograd Conservatory, then the Leningrad Conservatory, following the Bolshevik Revolution. He continued heading the Conservatory until 1930, though he had left the Soviet Union in 1928 and did not return. The best known student under his tenure during the early Soviet years was Dmitri Shostakovich. Glazunov was born in Saint Petersburg, the son of a wealthy publisher. He began studying piano at age of nine and began composing at 11. Mily Balakirev, former leader of the nationalist group "The Five" also called “The Mighty Handfull”, recognized Glazunov's talent and brought his work to the attention of Nikolai Rimsky-Korsakov. "Casually Balakirev once brought me the composition of a fourteen- or fifteen-year-old high-school student, Sasha Glazunov", Rimsky-Korsakov remembered. "It was an orchestral score written in childish fashion. The boy's talent was indubitably clear." Balakirev introduced him to Rimsky-Korsakov shortly afterwards, in December 1879 and Rimsky-Korsakov premiered this work in 1882, when Glazunov was only 16. Borodin and Stasov, among others, lavishly praised both the work and its composer. Rimsky-Korsakov taught Glazunov as a private student. "His musical development progressed not by the day, but literally by the hour", Rimsky-Korsakov wrote. The nature of their relationship also changed. By the spring of 1881, Rimsky-Korsakov considered Glazunov more of a junior colleague than a student while observing his progress on the first of Glazunov's eight symphonies. Glazunov was significant in that he successfully reconciled nationalism and cosmopolitanism in Russian music. While he was the direct successor to Balakirev’s nationalism, he tended more towards Borodin’s epic grandeur while absorbing a number of other influences. These included Rimsky-Korsakov’s orchestral virtuosity, Tchaikovsky’s lyricism and Taneyev’s contrapuntal skill. His weaknesses were a streak of academicism that sometimes overpowered his inspiration and an eclecticism that could sap the ultimate stamp of originality from his music. Younger composers such as Prokofiev and Shostakovich, eventually considered his music old-fashioned while also admitting he remained a composer with an imposing reputation and a stabilizing influence in a time of transition and turmoil. Having been blessed with a phenomenal memory Glazunov was acknowledged as a great prodigy in his field and, with the help of his mentor and friend Rimsky-Korsakov, finished some of Alexander Borodin’s great works, the most famous being the Third Symphony and the opera Prince Igor, including the popular Polovtsian Dances. He reconstructed the overture from memory, having heard it played on the piano only once. Shostakovich reports, however, that Glazunov told him when drunk that his "reconstruction" of Borodin's overture was actually original work; Glazunov chose to give full credit to Borodin for the composition that in fact he, Glazunov, wrote. Glazunov's ability to perfectly mimic Borodin's style is a tribute to his musical creativity. His giving the credit to Borodin, Shostakovich felt, said much for Glazunov's character. "It doesn't happen often that a man composes excellent music for another composer and doesn't advertise it (to talk while drinking doesn't count). It's usually the other way around - a man steals an idea or even a considerable piece of music and passes it off as his own." Shostakovich mentioned in Testimony that there were many similar stories about Glazunov's memory. One of the more famous ones, he recalled, was when Sergei Taneyev came to Saint Petersburg with a new symphony. The person whom Taneyev was visiting hid the teenage Glazunov in the next room. Taneyev played his symphony on the piano for the host. The other guests praised and congratulated him. The host then told Taneyev, "I'd like you to meet a talented young man. He's also written a symphony." He brought Glazunov in from the next room. The host said, "Sasha, show your symphony to our dear guest." Glazunov sat down at the piano and played Taneyev's symphony from beginning to end, after hearing it only once and through a closed door. 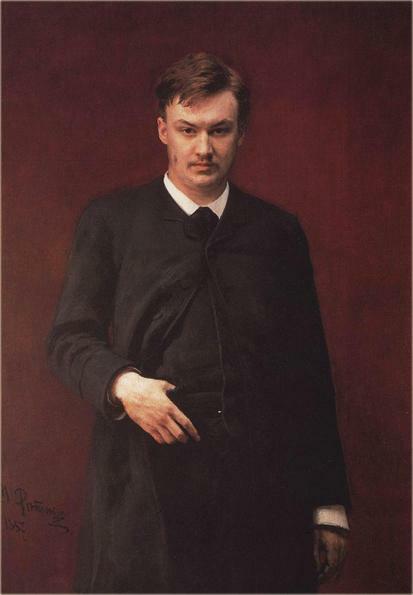 Glazunov died in Neuilly-sur-Seine (near Paris) at the age of 70 in 1936. The announcement of his death shocked many. They had long associated Glazunov with the music of the past rather than of the present, so they thought he had already been dead for many years. In 1972 his remains were reinterred in Leningrad. The Chant du Ménestrel (‘Minstrel's Song’) was written in 1900, a poignant minstrel's song, with a change of mood in the central section, before the woodwind returns with the first melody. The Two Pieces for cello and orchestra are still earlier, dating from 1887 and 1888. The Mélodie is delicately orchestrated, always giving due prominence to the cello melody-line. The Sérénade Espagnole (‘Spanish Serenade’) makes use of a harp and plucked strings in its orchestration, an accomplished Russian evocation of Spain, perhaps a recollection of Glazunov's visit to that country with Belyayev in 1884. 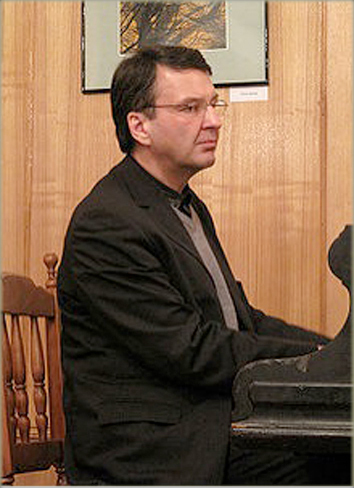 Ivan Glebovich Sokolov was born in Moscow in 1960, and graduated from the Moscow State Conservatory in 1983, having studied composition with Professor N. N. Sidelnikov and piano with Professor L. Naumov. He then continued at the Conservatory with post-graduate work, completing his work in 1986. He subsequently taught at the Conservatory between 1988 and 1994. Since 1987, Mr. Sokolov has been a member of the Composers' Union of Russia, as well as the Association of Contemporary Music in Russia. Mr. Sokolov is a regular participant in contemporary music festivals in Russia and abroad, including at the Alternativa, Moscow Autumn, Moscow Forum and also regular participant in Monrepos Nights festival. All his works have been performed in Russia, Germany, Switzerland, and Denmark. He is the author of numerous chamber and symphonic works, and regular performs as a piano soloist. Currently, in addition to all his other activities, Mr. Solokov is also teaching at the Moscow. Mr. Sokolov composed the Cello Sonata in 2002 and dedicated it to composer N. N. Sidelnikov (the tonal plan is marked with his initials). Ivan Sokolov plays in Moscow Tchekhov Library, 2009. Design, text & production: Ole Jorgensen. Sound producer and Mastering: Sergei Kvitko. Blue Griffin Studio “The Ballroom”, Lansing MI. USA. 9/2009. BAM 2047 ® & © 2011 Bel Air Music Ltd. All rights reserved. Made in EU.